A few showers early becoming a steady rain for the afternoon. Thunder possible. High 47F. Winds N at 5 to 10 mph. Chance of rain 80%.. Rain. Thunder possible. Low 41F. Winds WNW at 5 to 10 mph. Chance of rain 80%. "Last year, Idaho FSA obligated $59,601,134 in loans to underserved borrowers and beginning farmers and ranchers"
U.S. Department of Agriculture (USDA) Idaho Farm Service Agency (FSA) Acting State Executive Director Brian Dansel reminds producers that FSA offers farm ownership and farm operating loans to underserved applicants as well as beginning farmers and ranchers. Underserved or beginning farmers and ranchers who cannot obtain commercial credit from a bank can apply for FSA direct or guaranteed loans. 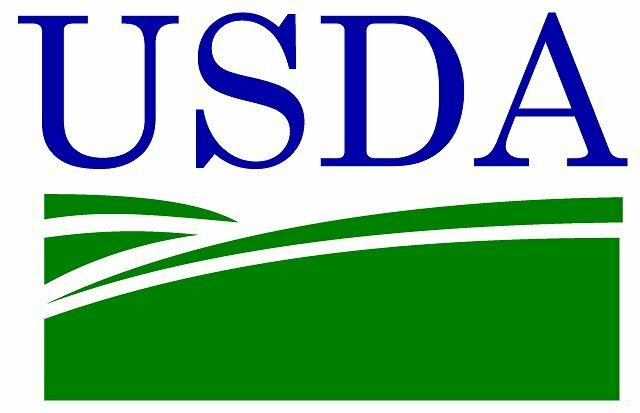 USDA defines underserved applicants as a group whose members have been subjected to racial, ethnic or gender prejudice because of their identity as members of the group without regard to their individual qualities. For farm loan program purposes, underserved groups are American Indians or Alaskan Natives, Asians, Blacks or African Americans, Native Hawaiians or other Pacific Islanders, Hispanics, and women. In order to qualify as a beginning farmer, the individual or entity must meet the eligibility requirements outlined for direct or guaranteed loans. Additionally, individuals and all entity members must have operated a farm for less than 10 years. Applicants must materially or substantially participate in the operation. For farm ownership purposes, the applicant must not own a farm greater than 30 percent of the average size farm in the county at the time of application. All direct farm ownership applicants must have participated in the business operations of a farm for at least three years out of the last 10 years prior to the date the application is submitted. A substitution for one year of experience may include a year of postsecondary education in agriculture-related fields, business management experience, or leadership or management experience while serving in any branch of the military. If the applicant is an entity, all members must be related by blood or marriage and all entity members must be eligible beginning farmers. At least one of the members must have three years or more experience in the business operations of a farm prior to the date the application is submitted. Direct loans are made to applicants by FSA. Guaranteed loans are made by lending institutions who arrange for FSA to guarantee the loan. FSA can guarantee up to 95 percent of the loss of principal and interest on a loan. The FSA guarantee allows lenders to make agricultural credit available to producers who do not meet the lender’s normal underwriting criteria. Farm ownership loan funds may be used to purchase or enlarge a farm or ranch; purchase easements or rights of way needed in the farm’s operation; build or improve buildings such as a dwelling or barn; promote soil and water conservation and development; and pay closing costs. Farm operating loan funds may be used to purchase livestock, poultry, farm equipment, fertilizer and other materials necessary to operate a farm. Operating loan funds can also be used for family living expenses; refinancing debts under certain conditions; paying salaries for hired farm laborers; installing or improving water systems for home, livestock or irrigation use; and other similar improvements. Repayment terms for direct operating loans are scheduled from one to seven years. Financing for direct farm ownership loans cannot exceed 40 years. Interest rates for direct loans are set periodically according to the government’s cost of borrowing. Guaranteed loan terms and interest rates are set by the lender. For information on FSA’s farm loan programs and underserved and beginning farmer guidelines, contact your local FSA office or visit https://www.farmers.gov.